Flaunt is an act that can be hard to pin down. Taking its inspiration from all different waves of music, Flaunt explores various landscapes on its album CODON with hints of indie rock, dub, house, ambient and experimental sounds all rolled into one trippy experience. This is not music for the easy-listening crowd as it will spike various centers in the brain as songs go from sublime moody tones to industrial meets world rhythms. 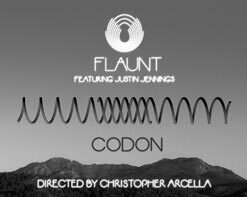 The title track “Codon” is one of the few tunes on the new album that have a more traditional song structure incorporating a contemporary beat and emotive vocals by Justin Jennings. The song itself is about identity and love: misinterpreted, misunderstood, and the act of not conforming to the norm. Additionally the song has been reworked into a beautifully brass and string filled mix with a kiss to the past by Mark Picchiotti as well as a jazzy version by 4hero now finding support at radio stations across the US. The cinematic music video reminiscent of a Hitchcock noir takes place in the desert of Arizona and is the vision of luminary filmmaker Christopher Arcella (whose work on Japan Soul & bridges and powerlines have wowed HIP programmers). It opens with an ominous shot of a dead raven and an extinguished fire pit. Confused and dehydrated, the desert reveals the true nature of his abandonment forcing him to come to terms with his illusions. Taking the proverbial “wandering the desert” idea and manifesting it into a captivating video is an impressive feat. He clearly has a lot on his mind as he bounces between houses and companions, working his way through the arid landscape of Arizona in a quest to find his own peace. 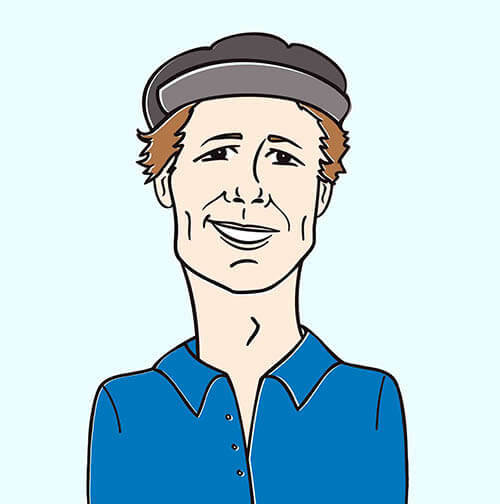 It’s a pleasure to once again be working with Anticodon to bring you this exceptional clip of mind bending proportions. We are here to hook you up with everything you will need to get this video into your programming so don’t hesitate to get in touch (732)-613-1779 or email us at info@HIPVideoPromo.com for more info. You can also visit www.AnticodonRecords.com.